It was at the 2016 Paris Motor Show that Mercedes-Benz first presented its new product and technology brand for electro-mobility. In mid-2019 the time has come: the EQC is the first Mercedes-Benz vehicle to be launched under the EQ brand. With its seamless, clear design and colour highlights typical of the brand, it is a pioneer for an avant-garde electric look while representing the design idiom of Progressive Luxury. With respect to quality, safety and comfort the EQC is the Mercedes-Benz among electric vehicles. These are accompanied by dynamic performance, thanks to two electric motors at the front and rear axles with a combined output of 300 kW. 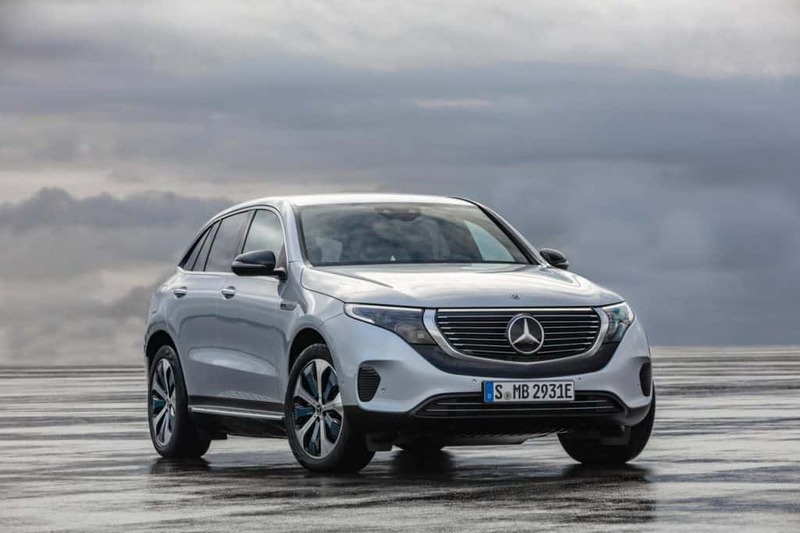 As the first Mercedes-Benz model to be launched under the new product and technology brand EQ, the EQC features an all-new drive system development with compact electric drivetrains at each axle. These give the EQC the driving characteristics of an all-wheel drive. To reduce power consumption and increase dynamism, the electric drivetrains are configured differently: the front electric motor is optimised for best possible efficiency in the low to medium load range, while the rear one determines dynamism. Together, they generate an output of 300 kW and a maximum torque of 765 Nm. The lithium-ion battery, which has an energy content of 80 kWh supplies the vehicle with power. The EQC supports its driver with five driving programmes, each with different characteristics. In the more economical driving modes, the haptic accelerator pedal that prompts the driver to conserve power plays an important role. 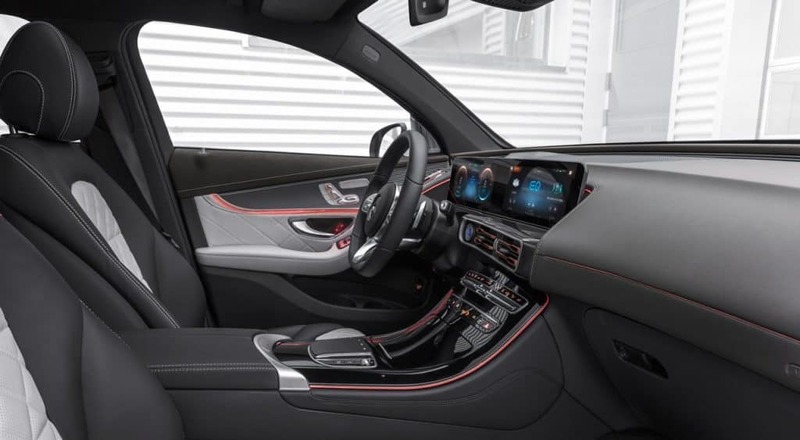 The driver is also able to influence the recuperation level using so-called paddles behind the steering wheel. 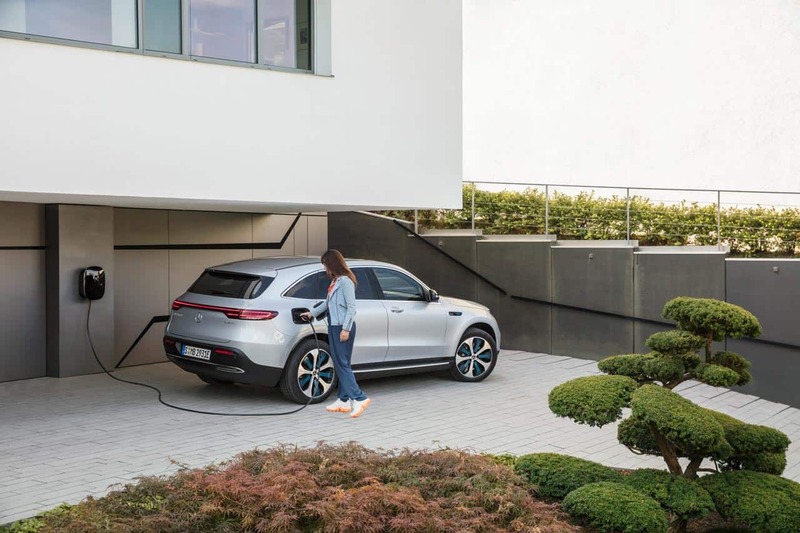 As standard the EQC is equipped with a water-cooled onboard charger (OBC) with a capacity of 7.4 kW, making it suitable for AC charging at home or at public charging stations. Charging at a Mercedes-Benz Wallbox is up to three times faster than at a domestic power socket.